As you all know, Mike has proposed another Oscar contest. I'm happy to participate.....mostly because I want to win. Today is the day of my picks. His went up on Sunday. Mine were completed but weren't to go up until Friday. His posting pushed mine up by a few days. While "technically", I am not allowed to pick 'who should win', there are seemingly no by-laws that say I can't make comments on some / all of the categories as we roll-along. ....and I think we all know I'm not one to keep silent about much of anything (I see Mr. Mike has done the same thing - so I'm good). I've seen five of the nine best picture nominees. If my two times in Math 104 taught me anything. it is that this is like more than 50% of the films. Hopefully that increases my chances of guessing - and let's face it, that's all it is: educated guessing, but guessing nonetheless. Sure you can take into account the odds makers or do some deductions from other award shows and those winners, but who the heck really knows (besides those fine fine auditors at PriceWaterhouseCoopers)? The problem with some of those others shows are that not all the same folks / movies are nominated....and even if they are, the are in different categories and not up against each other. My educated guesses didn't serve me too well last year. I don't expect them to help me too much this year either. My only hope is that Mike has the same luck, minus one. I only need to win by one. A win is a win. Actually, our choices are dangerously close to being the same. There are a few things we differ on, but not much - so it will either come down to those few, or that we are wrong our actual choices in different categories. If we tie, I suppose the drink we wagered will just be a meet-up at a bar and go dutch. There are worse things - he's still a good guy (yes, I have said kind words - I'm a gentleman). So here are my choices - and my comments. 1. Best Picture: "Amour," "Argo," "Beasts of the Southern Wild," "Django Unchained," "Les Miserables," "Life of Pi," "Lincoln," "Silver Linings Playbook," "Zero Dark Thirty." Comment: No Best Director, which almost puts 'best picture' out of contention. It's almost impossible to win best picture without best director and only twice (?) has a film one with out the director being nominated. Ben Affleck was not given the nod. I'm still going for it. Comment: Hands down. Foolish to bet against this performance. Phoenix was ok, but the movie was not good. 3. Actress: Jessica Chastain, "Zero Dark Thirty"; Jennifer Lawrence, "Silver Linings Playbook"; Emmanuelle Riva, "Amour"; Quvenzhané Wallis, "Beasts of the Southern Wild"; Naomi Watts, "The Impossible." Comment: As much as I enjoyed Jessica Chastain, I think the odds are not with me on this one. I'd have voted for her ZDT performance. But I think voters will go for Lawrence. 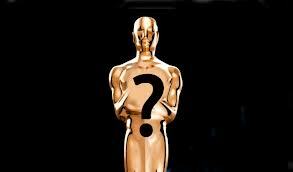 Comment: The only category that has all former Oscar winners? Arkin is fine, but eh. Hoffman was more of a lead and still a bad movie. De Niro is way over rated. Jones was great. Comment: I think Field deserves it. But Hollywood loves a starving, clothing-tattered, disease-ridden whore who does her own singing. ...and since every other award show has given it to her, she'll get this one too - even if not deserved. Comment: Save for a few of his movies, I'm not a fan, but Spielberg did a good job w Lincoln and without winning best picture, the others fall farther down in the pack. Comment: Only because Amour won't win Best Picture and as I've heard people say - it's the Oscar movie you'll tell people you've seen and admired even though you've never gone. I'm not even pretending. It looks D-pressing. Comment: The Hollywood elite love Kushner. He's good, but I felt he was a bit heavy-handed and brought too much of today's political scene into 1865. Comment: It might be Zero Dark Thirty's only one of two win of the night. Tarantino is still too weird for the voters. Comment: Wreck It Ralph got good reviews, but is Pixar ever really losing? 11. Production Design: "Anna Karenina," "The Hobbit: An Unexpected Journey," "Les Miserables," "Life of Pi," "Lincoln." Comment: I'll give it to Old Abe. I really have not a clue on this one. 12. Cinematography: "Anna Karenina," "Django Unchained," "Life of Pi," "Lincoln," "Skyfall." 13. Sound Mixing: "Argo," "Les Miserables," "Life of Pi," "Lincoln," "Skyfall." 14. Sound Editing: "Argo," "Django Unchained," "Life of Pi," "Skyfall," "Zero Dark Thirty." Comment: Lord, I hope it isn't John Williams for 173rd time. Comment: Because I haven't heard of any of the others, unless "Suddenly" is a remake of Olivia Newton-John and Cliff Richards' song. ....and everything is Adele in 2011-2013, you can't escape it. 17. Costume: "Anna Karenina," "Les Miserables," "Lincoln," "Mirror Mirror," "Snow White and the Huntsman." 18. Documentary Feature: "5 Broken Cameras," "The Gatekeepers," "How to Survive a Plague," "The Invisible War," "Searching for Sugar Man." Comment: Just a hunch. I have seen none of these. 19. Documentary (short subject): "Inocente," "Kings Point," "Mondays at Racine," "Open Heart," "Redemption." 20. Film Editing: "Argo," "Life of Pi," "Lincoln," "Silver Linings Playbook," "Zero Dark Thirty. Comment: Argo moved at a good pace. I can see this winning. Ditto with Zero, but I think it will go to Argo. 21. Makeup and Hairstyling: "Hitchcock," "The Hobbit: An Unexpected Journey," "Les Miserables." Comment: I didn't see any of these. They'll give it to "Les Mis" because of the CapN Crunch outfits, and dirty old whore clothing will always win. No one saw "Hitchcock" and "The Hobbit" still has two more movies to come out and will win on the 3rd attempt, just like all the LotR movies. 22. Animated Short Film: "Adam and Dog," "Fresh Guacamole," "Head over Heels," "Maggie Simpson in `The Longest Daycare,'" "Paperman." Comment: I'm going with Adam and Dog because I liked it. I wasn't thrilled with Head over Heels and the others I could only see trailers of. 'the Simpsons' probably isn't arty enough, and the "Paperman" was drenched in Disney. ...and I am kind of big on dogs. 23. Live Action Short Film: "Asad," "Buzkashi Boys," "Curfew," "Death of a Shadow (Dood van een Schaduw)," "Henry." Comment: I could only see clips on-line. I got nothing to back this up. 24. Visual Effects: "The Hobbit: An Unexpected Journey," "Life of Pi," "Marvel's The Avengers," "Prometheus," "Snow White and the Huntsman." Comment: The movie was visually stunning - at least in 3D. Avengers wasn't bad but comic / action movie won't get it. So there you have it. My selections. My rationale. May the best man (me! ), win! You have a knack for this; I suspect you will win, but I will keep tabs ! I wouldn't disagree violently with any of your choices at all. Pity that 'Anna Karenina' didn't get more nominations. (It was my #2 film of last year - after 'Hugo'). In the BAFTAs too it only picked up a couple of minor awards. 'Suddenly', newly composed for 'Les Mis' (that's right, NOT the Cliff Richard/Olivia N-J song, LOL!) fitted in seamlessly, but having heard it a couple of times now (having been to see the film twice) it's not especially remarkable or memorable. My only quarrel with the 'Skyfall' title song is how they could have got away with a melodic RISE on the syllable 'fall'! Apart from that it's a better theme song than a lot of the recent Bond films had. So let's wait and see. I'll be very surprised - and, in some cases, disappointed - if many of your own choices don't come out winners. Amour! Gah. So pissed off after seeing that movie. Take you on a long depressing road and then whoopsie, you get to leave the theatre without knowing how it ended. Typical French film. Ugh.